This is the very first release from Artware Collectables in collaboration with Roger Michell of Lustre Pottery. 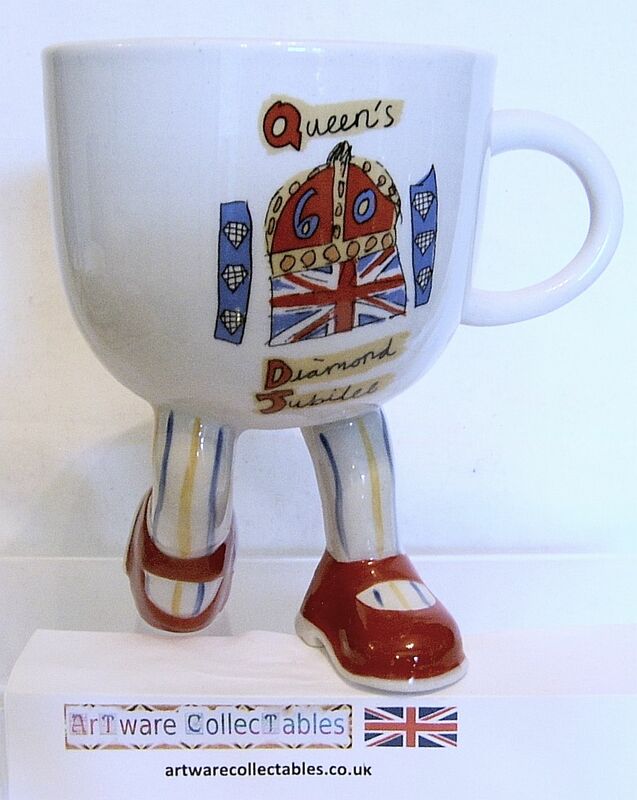 Following the format of previous Kneeling Cups which have been made available for many Royal occasions, this one has been produced to commemorate the Queen's Diamond Jubilee. The official logo was chosen after a competition sponsored by Blue Peter, the CBBC's children's programme. Our Kneeling Cup measures almost 5.5 inches (14 cms) in height with a top diameter of 4 inches (10 cms) and is quite a significant size larger than previous Cups. It is a limited edition of only 250 pieces.